Public health is a broad and growing discipline and many top notch universities are rising to meet the demand for advanced degrees in the subject by offering flexible online Master's in Public Health Administration degree programs. These programs target working professionals that can't afford to take two years off from their career to earn a graduate degree. We created this ranking of the top online master of public health programs in the United States based on information provided by College Navigator and the Council on Education for Public Health (CEPH). There are well over 100 programs in country, so to narrow our scope, we looked at only schools featuring CEPH accredited MPH degrees. From those, we applied the ranking criteria below to come up with the 50 best online MPH programs. Where there are ties, the school with the lower average graduate tuition rate published by the National Center for Education Statistics is favored. George Washington University features the [email protected], an innovative online MPH experience designed to fit into your life. Students can choose to complete an intensive accelerated one-year MPH, an 18 month accelerated online MPH for students working part-time, and a customizable MPH program with the ability to complete in two, three or four years. Online students at GWU are engaged through live, virtual classes taught by expert level faculty. Students receive dedicated support services throughout their time at GWU and life-long connections through a network of more than 270,000 alumni. The 42 credit hour online MPH in Nutrition and Wellness from Andrews University is the first CEPH accredited program of its kind in the nation. The program is offered in a highly interactive online format with no on-campus residency requirements. Currently offered at a 50% tuition discount, the program is incredibly affordable. Graduates are prepared to improve the health and wellness of the population through the administration of wellness programs and nutrition education. The School of Nursing and Health Professions at the University of San Francisco features an online MPH with a generalist curriculum. This flexible program features a state-of-the-art online learning platform that allows students to log in when it is most convenient. Faculty come from a variety of areas including public health, nursing, and behavioral health. Students complete a 300 hour fieldwork placement in a public health organization to gain professional work experience before graduating, enhancing their resume or professional portfolio. Northeastern University features an online MPH program designed to address the unique needs of urban communities. Students can work on their degree either full-time or part-time and can complete the program in anywhere from 18 months to five years. This CEPH accredited top online MPH program is comprised of 42 credit hours worth of coursework, including a practicum to gain valuable work experience. The Dr. Kiran C. Patel College of Osteopathic Medicine at Nova Southeastern University features an innovative online master's in public health focused on health policy, program management, and epidemiology. Students can attend either full-time or part-time depending on their schedule. A six credit hour field experience provides students with the opportunity to explore an area of interest. The online MPH degree program at the University of Minnesota is focused on maternal and child health. The program is designed for students with graduate degrees or at least three years of professional experience. Most full-time students can earn their degree in about two years. This 42 credit hour program requires no on-campus residency. Faculty come from multiple areas in the field including psychology, epidemiology, sociology, and anthropology. The program admits new students in the fall, spring, and summer. Kent State University offers an online CEPH accredited MPH degree that can be completed in just 24 months. This practitioner-focused degree program features award winning public health courses providing students with relevant knowledge and training. The career-centered practicum experience gives students hands-on training. Those interested in public health from a global perspective will benefit from the optional global immersion seminar. The Robert Stempel College of Public Health and Social Work at Florida International University is a top tier research institution featuring an online master of public health. This 45 credit hour program is accredited by the CEPH and can be completed in just 18 months. Unique elective coursework offerings include AIDS Epidemiology, Health Promotion in Culturally Diverse Communities, and Global Environmental Health. Students complete a practicum in public health in addition to an integrative seminar to gain professional experience in the field. The online MPH program in Health Promotion and Behavioral Science from San Diego State University is a fully online program offered through the College of Extended Studies. This rigorous 20 month program is designed for early career professionals. Students can log on to complete coursework whenever it is convenient without interrupting their career or other professional obligations. Lectures are pre-recorded for convenience, although there may be some live sessions to engage with the instructor in real-time. California State University Northridge features an online master of public health taught from a real-world perspective. The program follows a cohort format allowing students to work together and engage with each other as they complete the program as a group. The online format is flexible for working professionals with asynchronous class meetings and weekly assignments. Students can complete this top online MPH program in just seven terms. The University of Nevada-Reno takes a holistic look at public health in their online MPH in Public Health Practice. Rather than focusing on physical health of an individual or group, students are encouraged to consider environmental and economical influences that are contributing factors. This program can be completed entirely online with no on-campus residency requirement and students can earn their degree in just 24 months. There is no GRE required for admission and with multiple start dates each year, what are you waiting for? Loyola University is a Roman Catholic school of the Jesuit tradition embracing the Jesuit ideal of the intellectual promotion of social justice. The 44 credit hour online MPH program at Loyola is devoted to creating compassionate leaders for the public health discipline. The Health Policy and Management concentration can be completed entirely online with no on-campus residency requirements. UNE Online features a CEPH accredited online MPH program with no on-campus residency requirements. Students can earn their degree in just 18 months of study without ever needing to come to campus. The innovative online learning platforms allows students to have access to coursework and lectures from anywhere with an internet connection. There is no GRE required for admission. Mercer University features an online generalist MPH degree designed to prepare students to work in a variety of settings. This 42 credit hour program takes just two years to complete. Coursework covers areas like program evaluation, community health needs assessment, rural health, epidemiology, and environmental health. A public health internship opportunity provides students with the professional experience needed to excel in the field. The 42 credit hour CEPH accredited online MPH program from Western Kentucky University prepares students for a wide variety of public health leadership roles. Students complete a core set of generalist public health courses and work with an advisor to select electives which meet their professional goals. The program is competency based, allowing students to benefit from a relevant and hands-on curriculum. The University of California Berkeley is one of the most prestigious universities in the United States. UC-Berkeley 27-month online master's of public health program at Berkeley is designed for flexibility, dedicated to meeting the needs of working professionals. The curriculum is comprised of 14 courses (42 semester units) and includes two intensive one-week, on-campus sessions. George Mason University features a 42 credit hour online MPH in Public Health Practice. The Public Health Practice concentration area focuses on areas like disease prevention, health assessment, risk communication, leadership, and management. Faculty are experienced professionals in the field and deliver relevant course content through an innovative online learning platform. Most students can earn their degree in two to three years. The University of Southern Mississippi features an online top MPH degree focused on health policy and administration. In addition to a core curriculum that includes an internship experience, students complete nine courses in this area of emphasis. 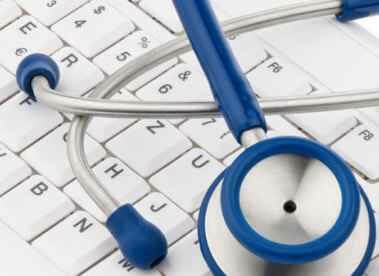 Courses cover areas like health law and justice, health policy, health economics, and health care marketing. Most students can earn their degree in about two years of full-time study. The 47 credit hour CEPH MPH online from the American Public University is a two year program with monthly course starts. The program focuses on five core areas of public health including biostatistics, environmental health sciences, epidemiology, health policy and management, and social and behavioral sciences. Graduates of this top online MPH program will be able to analyze and resolve complex health issues both in the U.S. and around the globe. The online master in public health from the University of Montana is a 42 credit hour program delivered through a mix of coursework and service activities. Students will gain an understanding of the public health needs and issues in rural communities. Full-time students can earn their degree in about two years while part-time students typically take three and a half years to complete the program. Tulane University's Center for Applied Environmental Public Health features several different online MPH programs addressing the five areas of public health. The program is designed for students who seek leadership positions in the field. Students can expect to complete a series of core courses, concentration courses, and electives. A practicum experience is completed after the core course have been taken. Students have the opportunity to showcase their knowledge and skills by completing a culminating experience. The 42 credit hour online MPH program from the Medical College of Wisconsin is offered by the Institute for Health and Equity. All courses are offered online and include core courses, community health courses, and an ethics course. Students also prepare for and complete a field placement and a capstone project. Students have the opportunity to complete three elective courses, tailoring the program to meet their professional goals. The School of Public Health at the University of Illinois Chicago features the only CEPH accredited online Public Health Informatics program in the country. All MPH online programs feature asynchronous coursework allowing students to log in when it is most convenient. UIC utilizes the Blackboard online course management system to complete assignments and course related activities. The University of Massachusetts Amherst is one of the most highly regarded public universities in the United States. UMass launched one of the first online MPH programs in the country and has graduated over 600 students. There are no on-campus residency requirements and the schedule is flexible enough to accommodate even the busiest professional. The 48 credit hour online MPH from the University of Florida is offered through the College of Public Health and Health Professions. The program is offered in a fully online format with no on-campus residency requirements. Lectures are conveniently recorded and available to students to watch at a time when it is most convenient and tests are administered through an online proctoring service. Coursework is offered in statistical methods, epidemiology, environmental health concepts, and social issues of public health. The online top MPH degree program at Lenoir-Rhyne University is focused on Community Health. The fully online format is ideal for working professionals who need flexibility. This 42 credit hour program includes concentration courses in research methods, program evaluation, health communication and informatics, and diversity issues for health. Students can further tailor the program to meet professional goals by taking nine credits of elective coursework. Field experience and applied research allow students to gain valuable hands-on skills. The online MPH degree program from Florida A&M University is designed to prepare students to be leaders and innovators who address the health concerns of poor and generally underserved populations. Coursework covers epidemiology, biostatistics, health policy and management, health education, and behavioral sciences. Students gain hands-on experience through field experiences and a public health internship opportunity. There is no thesis required, but students do complete a public health research project and must pass a comprehensive exam. The School of Medicine and Health Sciences at the University of North Dakota places an emphasis on data analytics. Students can choose between two different concentration areas, both utilizing big data to make public health decisions. Students work closely with faculty on research efforts and receive plenty of opportunities to engage in experiential learning. This 42 credit hour program can be completed by both full and part-time students. The top online master of public health from Idaho State University is certainly an affordable choice for those looking for an CEPH accredited program designed for working adults. Idaho State University hosts the only CEPH accredited MPH program in the state. The convenient online format allows students to access coursework from anywhere in the country, even rural areas. Faculty are actively engaged in research and professional development in the field. Johns Hopkins University features the most extensive offering of MPH programs to make our list. Most students can earn their degree in just two to three years of part-time study by taking 1-3 courses per term. There are over 300 different course options, allowing students to choose a meaningful area of focus. While the majority of the program is offered online, students are expected to be on-campus 1-2 weeks each year for an orientation, introductory course, and intensive courses to gain specialized training. The University of Southern California features an innovative online MPH degree program with personalized academic support and mentoring from leading experts in the field. Students experience a hands-on practicum, giving them the knowledge and expertise needed to navigate this complicated industry. There are no on-campus residency requirements, making this a great choice for working professionals. The Rollins School of Public Health at Emory University features an online MPH degree program designed for working professionals from a variety of backgrounds. The 42 credit hour program requires two on-campus sessions each semesters enhanced with online coursework. A practicum experience is included as part of the degree program and provides students with the professional experience needed to be successful. Students can earn their degree in two years of study. New York Medical College School of Health Sciences and Practice features an online MPH degree program with three focus areas and the option to complete the Health Policy and Management program in an accelerated format. Courses are delivered through a state of the art online learning platform and taught by the same great faculty as the traditional on-campus program. Students have the opportunity to earn certificates in Emergency Preparedness, Environmental Health, Global Health, Health Education, Industrial Hygiene, or Public Health while earning their top online MPH. The online master of public health degree program from A. T. Still University is designed to prepare students to lead the future of healthcare in a variety of settings and disciplines. This forward-thinking program empowers students to utilize technology and social media to influence health care practices and outcomes. Courses cover a variety of areas including biostatistics, environmental health sciences, community health needs, informatics, and public health systems policy and management. The School of Public Health at Loma Linda University recently celebrated it's 50 year anniversary of holding accreditation by the American Public Health Association. This longstanding program is now available online and features the only Health Education MPH online in California. Students access coursework through the CANVAS learning management system which makes accessing coursework and assignments an easy process. This online program is ideal for working professionals or busy adults who cannot attend a traditional on-campus program. The Mel and Enid Zuckerman College of Public Health at The University of Arizona offers an online accredited MPH degree with three different areas of concentration. This program is unique because concentration coursework accounts for 50% of the overall program coursework, meaning students have a highly specialized experience. Students can complete coursework entirely online with no on-campus residency requirements. The program can be completed in just two years. The University at Albany features one of the top schools of public health in the United States. SUNY Albany features a 51 credit hour online MPH degree program with no on-campus residency requirements. Students earn their degree by taking on-line coursework on a part-time schedule, ideal for working professionals. The curriculum is multidisciplinary and features competency based coursework. There are a variety of approved internship projects and sites allowed by the program, allowing students to gain professional experience in areas related to their career goals. The online CEPH accredited MPH degree program from Eastern Virginia Medical School is offered through a joint effort with Old Dominion University. Students can earn their degree in just five semesters. The program focuses on current issues affecting communities around the globe and students have the opportunity to engage with their communities or even study abroad to gain different perspectives. The University of Missouri offers an online MPH degree program with concentrations available in either Health Promotion and Policy or Veterinary Public Health. Students can complete the program entirely online with no on-campus residency requirements. While the online program is flexible, the curriculum and plan of study mirrors the on-campus requirements and the program is very rigorous. The MPH Online program at UNT Health Science Center is comprised of a Professional Option program designed for students with an advanced degree or at least three years of experience in the field and a standard online program with a concentration in either Global Health or Geographic Information Systems. Courses are delivered in an eight week accelerated format allowing students to move quickly through the program. Coursework can be completed any time of day, making this a great option for working professionals. A practicum experience provides students with hands-on training and can last between six months to one year. The online MPH degree program from New Mexico State University is designed to accommodate working professionals. Online courses are completed asynchronously, whenever and wherever it is most convenient. Out-of-state students can save money by receiving the great in-state tuition rate for six hours of online coursework. Online courses are delivered via a state of the art online learning platform using technologies such as Canvas, Skype, Zoom Meeting, and Adobe Connect. The CEPH accredited online MPH degree program from Benedictine University features a diverse curriculum with coursework in biostatistics, ethics, health policy, environmental health, biological aspects of public health, and health services management. Students complete a 240 clock hour internship experience to provide students the opportunity for hands-on learning. Online students complete coursework on their own schedule while keeping up with work and family obligations. Advisors keep students on-track and answer any questions students have while participating in the program. The School of Health Studies at Northern Illinois University features an online MPH accredited degree program for individuals aspiring for leadership positions in public health and health related organizations. The program is offered entirely online with no on-campus residency requirements. Students complete an internship/practicum to gain professional hands-on work experience. Two concentration areas are available to help students tailor the program to meet their professional goals. The Gillings School of Global Public Health at the University of North Carolina is the top ranked public school of public health in the country according to U.S. News and World Report. UNC features an online MPH program featuring live, weekly classes delivered though an innovate online campus. Students can earn their degree on a full-time or part-time basis. The 42-credit hour program includes an applied practicum experience, concentration specific coursework, and an integrated learning experience. The interdisciplinary online MPH degree program at the University of Alaska-Anchorage is designed to prepare students for the challenges they will face in public health in Alaska and the far north. Courses are offered in a convenient distance format, making this an ideal program for working professionals or those in rural areas. This 42 credit hour program includes coursework in areas like program evaluation, epidemiology, biostatistics, circumpolar health issues, and public health emergencies. Students choose whether to complete a practicum project or a practicum thesis to complete their degree. East Tennessee State University features a top online MPH degree program available to both full and part-time students. Full-time students can earn their degree in just one year plus one semester. The program begins in the fall and students can take up to six years to finish depending on their personal and professional responsibilities. Students have the opportunity to earn a graduate certificate in Biostatistics, Epidemiology, Gerontology, Health Care Management, or Rural Health, as long as the certificate area is different than the main concentration area. Graduates have no problem finding employment after graduation, as all MPH graduates reported being employed within one year. The CEPH accredited online master's of public health program at UAB provides students with the flexibility to learn from anywhere. The program specifically intends to train public health and healthcare professionals to assume positions of leadership in healthcare in a public health capacity. MPH students benefit from the great low in-state tuition rates regardless of where they reside, making this an exceptionally affordable program for working professionals. The student-focused online MPH from North Dakota State University offers a number of unique concentration areas not typically found in MPH programs. This top CEPH accredited program addresses the need for improved health in rural communities by creating the American Indian Public Health specialization. Online students have access to Tegrity, an online lecture capturing solution that allows students to view recorded lectures minutes from their initial delivery. Designed for students who want to advance their career and need the flexibility provided through an online program, the online MPH degree program from the University of Nebraska Medical Center is an affordable option. The program is offered 100% online with no on-campus residency requirements. Faculty are experts in public health, with a variety of experience in the five core areas of public health. 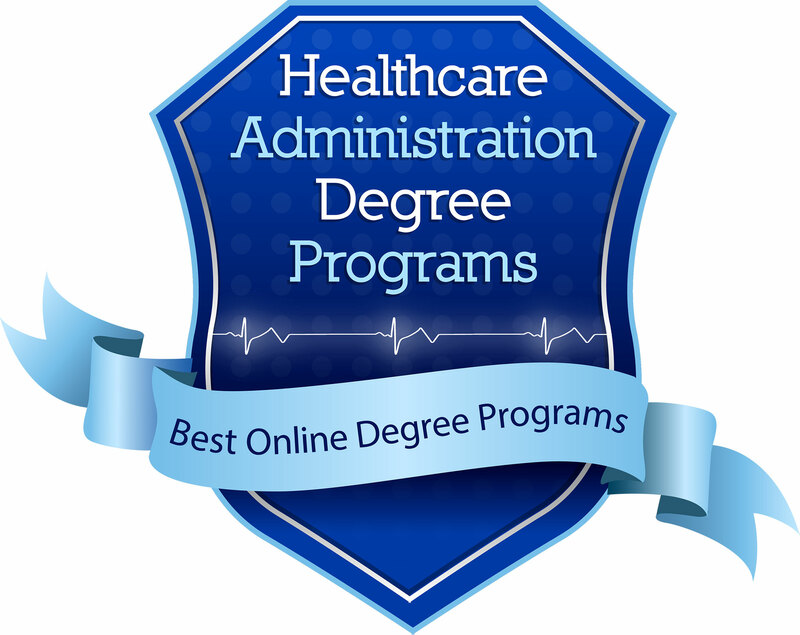 Augusta University features an affordable online MPH program with a variety of concentration areas. The program is open to individuals from a variety of backgrounds, both clinical and non-clinical. Almost 90% of the program can be completed online, with the remaining 10% delivered in-person through classes at the Augusta University Health Science Campus. Graduates are prepared for leadership positions in public health organizations, the pharmaceutical industry, and research institutions. For more information on degrees and careers that can be obtained with an online master's in public health administration and related fields, see Healthcare Administration Degree Programs homepage.